In addition to warm fellowship with campers from Ireland and from our geographically large presbytery, spanning the west coast from Seattle to San Diego and reaching inland to Las Vegas and Phoenix, we also enjoyed the friendship of folks from Wales, British Columbia and Alberta, Canada, Idaho, Kansas, Ohio, Pennsylvania, and South Carolina. (Sam Ketcham, Fresno RPC’s stated supply, and his family recently relocated from South Carolina to Fresno and are now initiated into the lengthy road trips that become part of life in this presbytery). Despite the diverse locations and cultures from which the 123 full-time, part-time, and day-time attendees came, many reported that they felt welcomed as family at the conference and at Seattle RPC’s worship services and meals before and after camp. We extend sincere thanks to the planning committee members Rev. Ryan Hemphill, Gary Cunningham, Dave Robb, Rebekah Brouwer, Don and Karen Lamont, Jan Garner, Aaron Piper, and Dennis Olson, and to all who worked to hospitably accommodate everyone who came from near and far! During teaching sessions at our conference, Pastor Loughridge, a gifted and winsome communicator of God’s word, spoke on “Outreach in the Modern World” based on Genesis 11. In his daily messages, he addressed “Living at Babel,” “God’s View of Babel,” and “Speaking at Babel, concluding Thursday night with “Which King Will You Serve?” (Genesis 14). The recorded sessions will be well worth listening to when posted to the Internet. Meanwhile, to be challenged and enriched, search the Internet for Pastor Loughridge’s other sermons and articles. Several other hardworking teachers—Alicia Hemphill, Lydia Eshelman, Megan (Lamont) Ruder, Kelsey (Lamont) Flot, Mirthe Ophoff, and Johnathan and Evelyn Kruis—along with daily volunteer nursery assistants, sacrificed their own learning time in order to teach, love, and sometimes “herd” the younger children. Special afternoon workshops addressed “Contributing to the Body” (led by Boni Piper), “Faithful Households in the Digital World” (Dr. Calvin Troup), “Connecting to the Mission Field” (Dr. Patricia Boyle), and “Disabilities Ministries” (Karen Olson and Kathy Stegall). Rev. Tim McCracken led an evening program he assembled titled, “Christ in the Psalms,” with commentary and congregational singing. 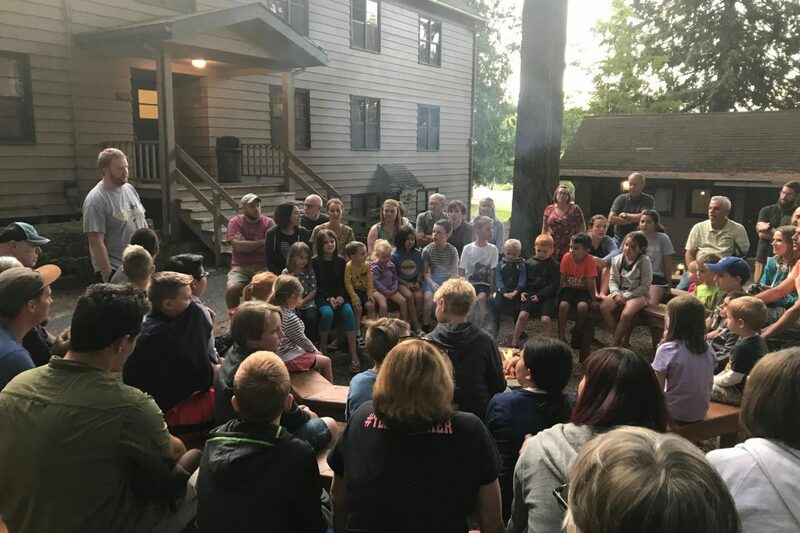 And what would family camp be without campfires (led this year by Paul Hemphill), s’mores, an ice-cream social, great food (always at The Firs! ), waterfront activities, game room, pickleball, volleyball, basketball (Bus Archer, recreation coordinator), and a talent show (Paul Hemphill, MC)! What an enriching week we had! Consider joining us in the future!